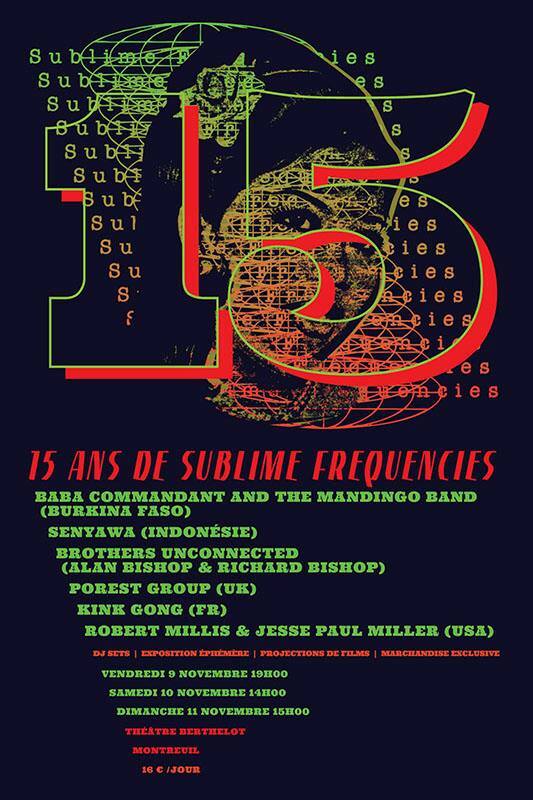 Sublime Frequencies is celebrating their 15 year anniversary. 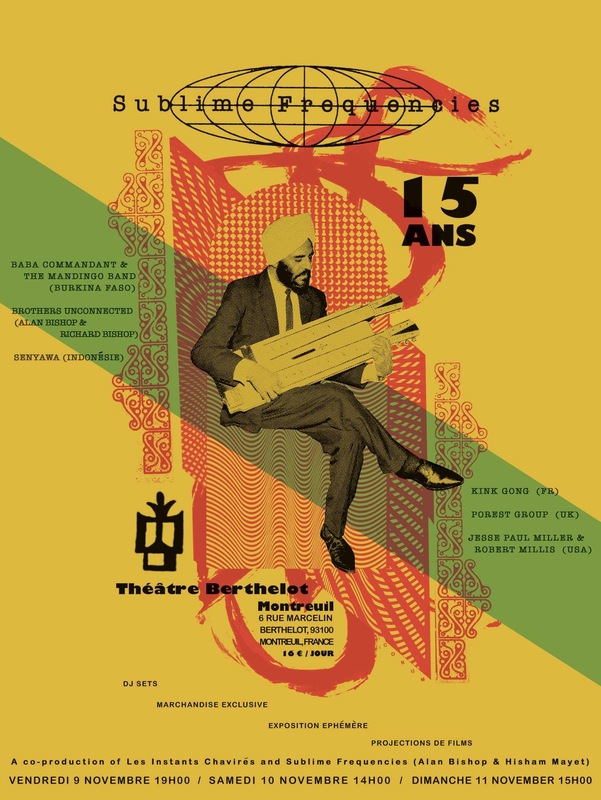 To mark the occasion, they are hosting a three day festival at Théâtre Berthelot in the Paris suburb of Montreuil, France on November 9-11, 2018. There will be live bands, multiple documentary screenings from the label’s vast cinema archive, DJ sets from the label founders and SF contributors, as well as an exhibit showcasing the visual history of the label’s 15 year existence with artwork, flyers, posters, and other rare visual esoterica. There will be new and exclusive merchandise available only at this event. 7 PM Friday, Nov. 9th / 19h00 Vendredi 9th Nov.
2 PM Saturday, Nov. 10th / 14h00 Samedi 10th Nov.
3PM Sunday, Nov. 11th / 15h00 Dimanche 11th Nov. Note: This post will be updated as more information become available.